Roger Edens | All Aboard For Skinker's Swamp! It is stating the obvious to say that 1939 was a banner year in the history of Hollywood cinema. 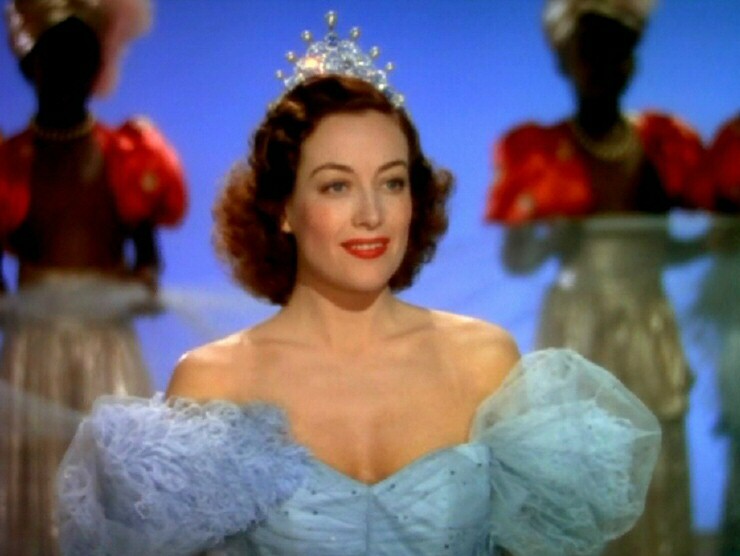 Producing three of the greatest movies of all time – The Wizard of Oz, Stagecoach and Gone with the Wind – we can also add to that list such stellar works as Ninotchka, Mr. Smith Goes to Washington, Of Mice and Men, The Women, Goodbye, Mr. Chips, and Wuthering Heights. And we haven’t even touched upon Gunga Din, The Hound of the Baskervilles, Dark Victory, The Roaring Twenties, or The Hunchback of Notre Dame. 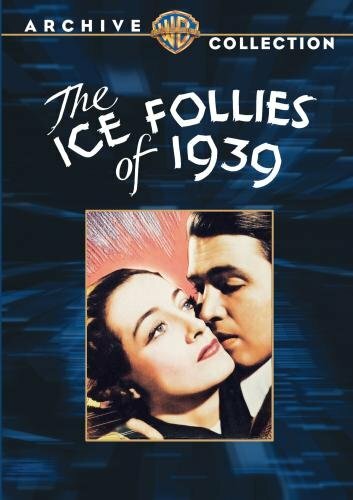 Yet amongst the scores of legendary titles from that monumental year, there is one particular movie that stands out from the crowd – a movie that achieved such immediate notoriety that not even its stars had a kind word to say about it: The Ice Follies of 1939. 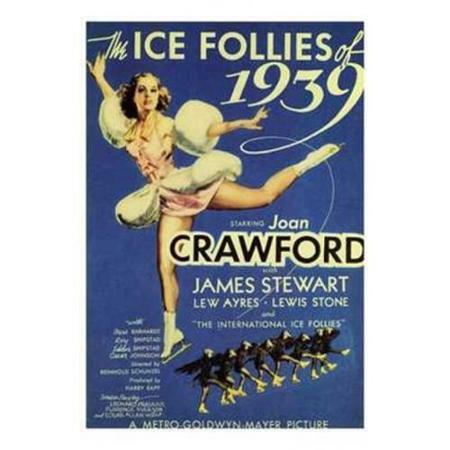 Over the years, The Ice Follies of 1939 has continued to be derided and ridiculed. It is not a coincidence that Mommie Dearest (1981) opens with Crawford preparing to shoot that particular movie. Yet can the film really be that bad? Surely any “spectacle picture” made at the height of M-G-M’s Golden Age must have something worthwhile to recommend it? 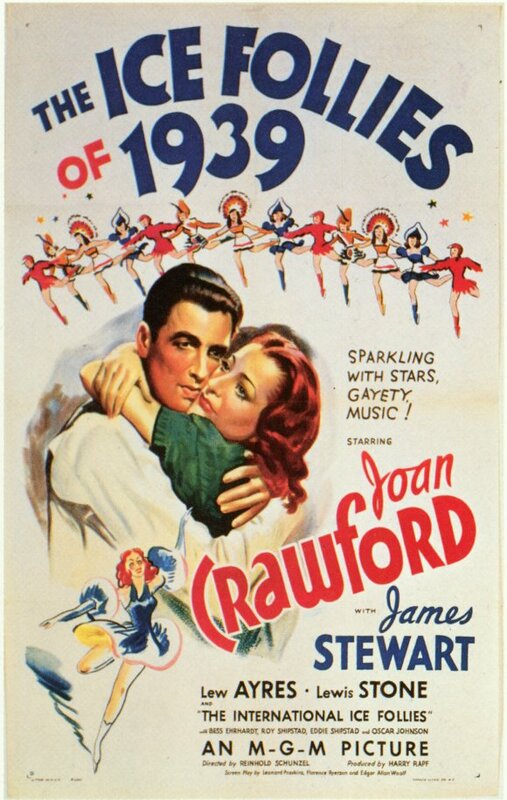 Well, thanks to Warner Archive’s release of the movie on DVD, we can see that – yes – the whole concept of the film and its hackneyed plot is indeed flawed, and it can certainly be viewed as the nadir of both Joan Crawford and James Stewart’s illustrious careers. However, the film is not without merit. The two stars both put in admirable performances, and there is an appealing chemistry between the pair that transcends the poor material they are given to work with. And of course we can always rely upon those two great character actors, Lewis Stone and Lionel Stander, to enliven proceedings, along with the typically outrageous costumes designed by Adrian. But the real discovery when watching the movie today is to find that the musical score offers a treasure trove of forgotten delights. We can even hear the exact moment that triggered the birth of the legendary Freed Unit and the classic M-G-M musicals of the 1940s and 50s that followed. 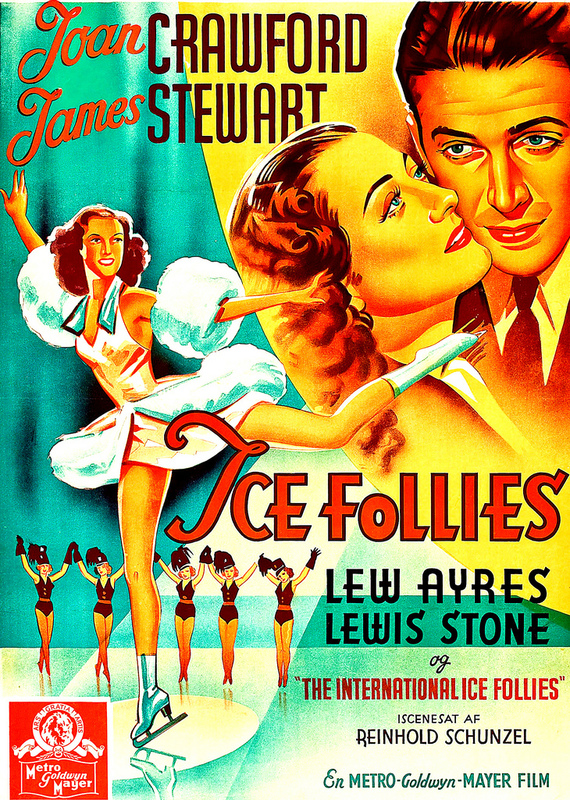 With a score composed by Franz Waxman, special material adapted by Roger Edens, a theme song written by the ”Queen of Tin Pan Alley” Bernice Petkere, orchestrations by Leo Arnaud and additional contributions from Daniele Amfitheatrof and George Bassman, the quality of the music throughout The Ice Follies of 1939 was always guaranteed to be first rate. The illustrious composer Waxman, listed as Musical Director along with George Stoll, contributes a handful of crucial incidental music cues at key dramatic points in the movie. “The Drunk Scene” features a haunting melody line consisting of long sustained notes accompanied by a bed of string tremolos, beautiful woodwind trills and judicious use of harp arpeggios, to create a magical mood of mystery and enchantment. “Next Morning” continues with the same combination of melancholy solo violin and rippling orchestral flourishes, while “On A Park Bench” includes a gorgeous, fully orchestrated dance band tune with a lilting string melody and prominent string bass accompaniment. The score also expertly incorporates a handful of traditional standards and contemporary pop songs of the era. A kiss at a park skating ring in New York is accompanied by the strains of the 1894 classic “The Sidewalks of New York” while the standout “Ice Follies 1939” segment in the middle of the picture incorporates a medley of popular Scottish tunes including “Comin’ Through the Rye” and “Loch Lomond,” plus a welcome reprise of “Hey, Babe, Hey!” an overlooked Cole Porter waltz that originally appeared in an earlier James Stewart movie, Born To Dance (1936). The 12 minute Follies segment also benefits from a number of tailor made compositions by the multi-talented Roger Edens, with each individual work complementing a specific type of dance on screen whether it be an Indian war dance, a Russian ballet or a Circus parade. 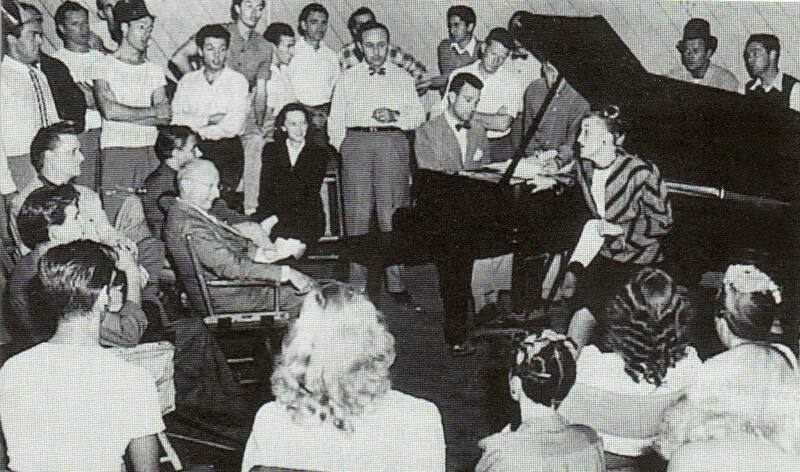 The Freed Unit circa 1945, with Roger Edens on piano, flanked by Arthur Freed (left) and Conrad Salinger, with Kay Thompson singing to a rapt Jerome Kern (seated). Edens was instantly smitten by the waif-like, virtuosic pianist. “I knew then and there that this incredible girl had a special talent,” he remembered, and in due course he would invite Simone to work exclusively for the Freed Unit, making the most of her myriad talents by using her as a piano tutor, vocal coach, language translator, music supervisor, sound editor, and general sounding board. She quickly became an indispensible member of the team and was widely considered to be the backbone of the Unit until her departure in 1958, after which the Freed Unit collapsed and Simone went on to marry Franz Waxman. 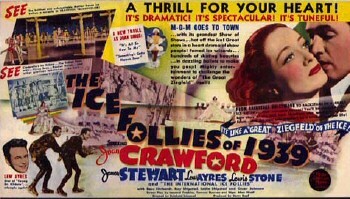 It is therefore surprising to learn that the celebrated Freed Unit quartet that eventually came to be known on the M-G-M lot as “The Royal Family” – Freed, Edens, Simone, and Conrad Salinger – all made significant contributions to The Ice Follies of 1939, albeit individually and not as the collective team that they would soon become. It serves to demonstrate the huge wealth of talent that contributed to the movie both in front of the camera and behind the scenes. And if the movie itself is still considered to be one of the biggest flops of all time, then at least we should take a second look at the many musical delights it still has to offer, and the significant role it played in the creation of the greatest production unit in Hollywood history. 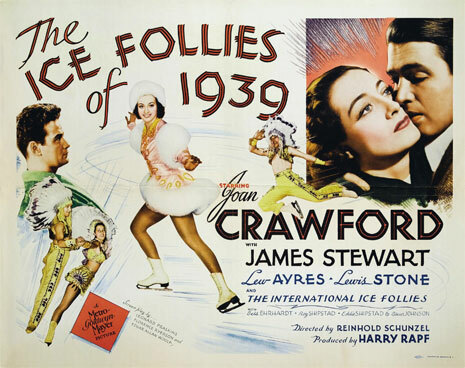 And for that, we should all be thankful for The Ice Follies of 1939.